For the third race of the EDRS and EDRS Pro Nordic Motorcycle Championship the riders and teams will visit their third different country and third different race track. Halfway through the season it’s time for the traditional Drag Challenge at the famous Gardermoen Raceway. And already before the first wheel turns, this year’s edition of the Norwegian race will be a historic one. 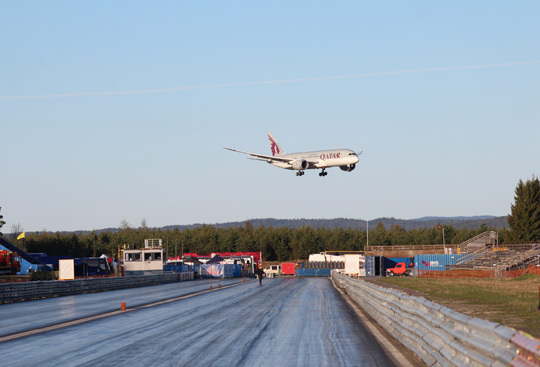 If everything goes as planned, it’s the last Drag Challenge on the old record setting track, as next year’s race will also see the official opening of the new state-of-the-art Gardermoen Raceway. Gardermoen Raceway will be host to the third round of the EDRS Pro Nordic Motorcycle Championship and a round for many other classes cometing in the EDRS European Drag Racing Series. The track is located very close to the Gardermoen Oslo international airport, north of Oslo. Gardermoen Raceway (originally Ringbanen) had its first race meeting in 1983 and is the only international approved drag race track in Norway. The subsurface is 15 cm concrete (rubble from the old Ringbanen, built by the Germans during WW2) and on top asphalt. For many years Gardermoen was famous for its record setting performances. Not only many personal bests, but also European bests were reset at Gardermoen. One of the greatest moments in the history of the track was Peter Svensson’s 5.93 seconds in August 2009, the first 5-second Top Fuel Motorcycle run outside the USA. The traditional Drag Challenge, the first weekend of August, is the biggest drag race meeting in Norway and for many years it was one of the most popular races in the FIA and UEM European Championship. For the last few years, the Drag Challenge was no longer part of one of these championships, but still, its reputation was so good that many European teams travelled to Norway to race at Gardermoen’s Drag Challenge. And even more important than this great history is the fact that a new chapter will be added to Gardermoen and Norwegian drag racing. 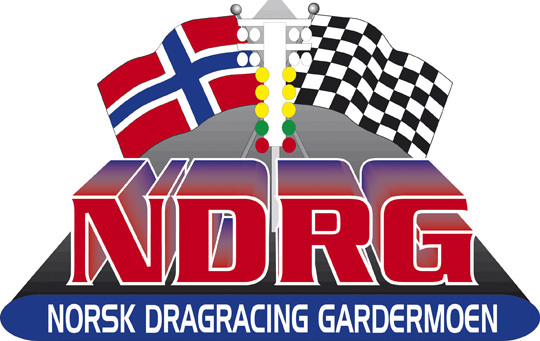 A few months ago the NDRG (Norwegian Drag Racing Gardermoen) received the great news, that after many years of hard work, they will get 10 million NKR (1,1 million euro) from the Ministry of Culture to rebuild Gardermoen Raceway and bring it up to the 2015 standards of a leading European drag racing facility. The ‘rebuild’ includes resurfacing of the drag strip, concrete retaining walls, a return road, timing tower and sanitation. Although the work will start after the last race of this season, a lot has to be done, so if everything goes as planned, the 2016 Drag Challenge will be the first race at this state-of-the-art facility. Something to really look forward to. There is a bright future for Norwegian, Scandinavian and European drag racing.